Once a company has developed a blue ocean strategy with a profitable business model, the next challenge is strategy execution. The challenge of execution exists, of course, for any strategy. Companies, like individuals, often have a tough time translating thought into action whether in red or blue oceans. But, compared with red ocean strategy, this can be especially difficult for blue ocean strategy as it represents a significant departure from the status quo. 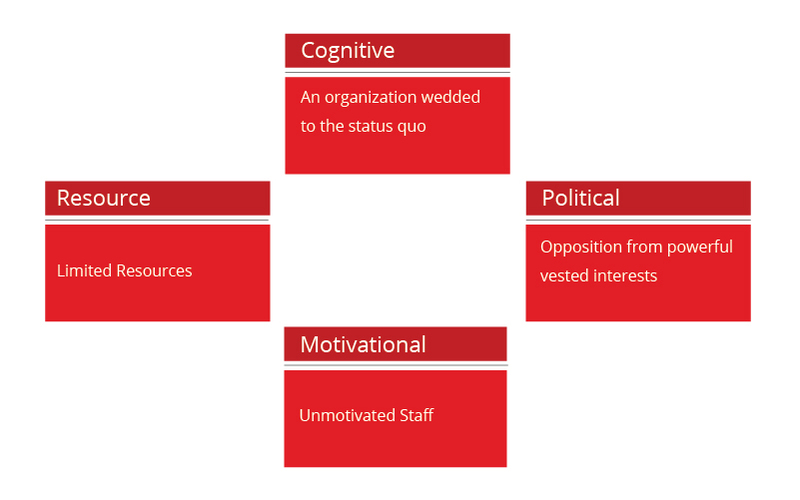 The Cognitive Hurdle: Waking employees up to the need for a strategic shift. Red oceans may not be the paths to future profitable growth, but they may have served the organization well historically, so why rock the boat? The Resource Hurdle: It is assumed that the greater the shift in strategy, the greater the resources it requires for execution. The Motivational Hurdle: How do you motivate key players to move fast and tenaciously to carry out a break from the status quo?